Hello April! 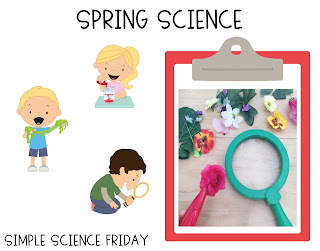 Spend some time using science tools to explore spring! A simple set up of tools like a magnifying glass and tweezers with fake flowers and insects can turn into a great writing lesson on using detailed and descriptive words! The setup! 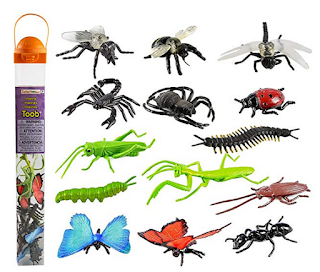 Grab some fun spring items from the craft store: fake flowers and plants, plastic insects, mini chicks and bunnies. 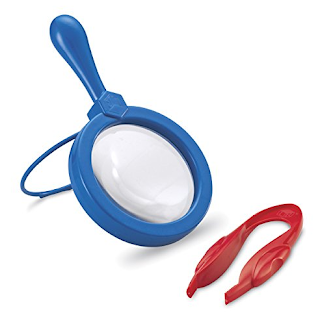 Any sorts of little goodies that would look great under a magnifying glass or that could be picked up by some large tweezers. 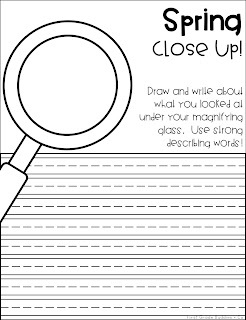 Encourage kiddos to gather descriptive words! Pair When Spring Comes by Kevin Henkes with our Describing Spring brainstorming sheet! Grab the FREE by clicking the sheet below! 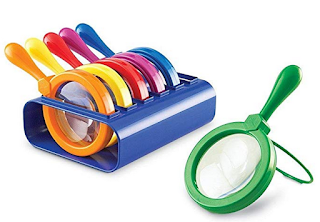 Here are the science tools we used! 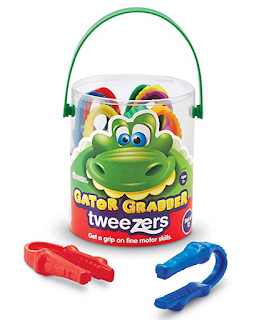 You can grab them on Amazon! After kiddos explore spring items, they can work on this writing piece. 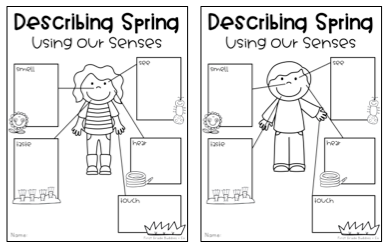 Encourage kiddos to use descriptive words from their spring senses recording sheet! Click the pic to get this FREE writing piece! And keep it going with descriptive words by completing our ABC's of Spring sheet! Click the pic to grab the FREE recording sheet!